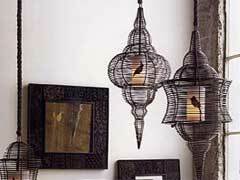 Decorative cages are wonderful pieces just for decoration or to be used as actual bird cages. The practice of making them goes back a couple thousand years, and here are some interesting facts about them. 1. Decorative bird cages were first popularized in the Victorian era. These cages were normally small handmade wooden cages with some elaborate décor. Canary birds for sale would often be found with these cages.